In S3 pupils build general business knowledge and gain experience at researching and reporting on business topics. 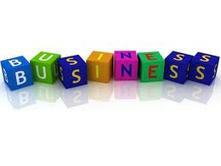 Pupils can then choose to take National 4 Business or National 5 Business Management in S4. Pupils have opportunities to build ICT knowledge, develop their interpersonal and improve their presentation skills.